Finnish mobile phone maker Nokia said Wednesday it had finalised the purchase of German engineering giant Siemens' 50 percent stake in Nokia Siemens Networks, and changed the company's name. The fully-owned Nokia subsidiary will now be known as Nokia Solutions and Networks, retaining the same acronym NSN. Finnish mobile phone maker Nokia said Wednesday it had finalised the purchase of German engineering giant Siemens' 50 percent stake in Nokia Siemens Networks, and changed the company's name. The fully-owned Nokia subsidiary will now be known as Nokia Solutions and Networks, retaining the same acronym NSN. 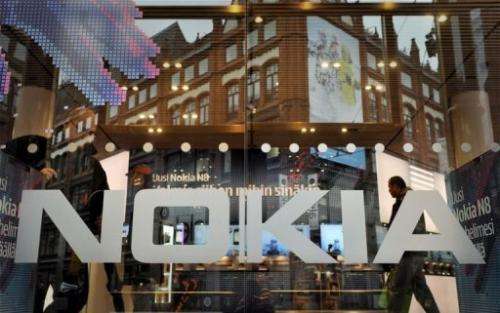 Announcing the 1.7-billion-euro ($2.2-billion) acquisition in July, Nokia said it hoped to create value for shareholders and said it planned to strengthen NSN to become a more independent unit. NSN, which is specialised in high-speed mobile broadband, was set up as a joint venture in 2007, a partnership that expired in April. The unit has posted stronger earnings than Nokia's mobile phone business, which has struggled to compete against rivals Apple and Samsung. NSN posted a net profit of 8.0 million euros in the second quarter, compared to Nokia's net loss of 227 million euros in the same period. Financial news agency Bloomberg meanwhile reported on Wednesday that NSN is mulling plans to cut 8,500 jobs, representing a sixth of its workforce. Nokia was unavailable for comment.